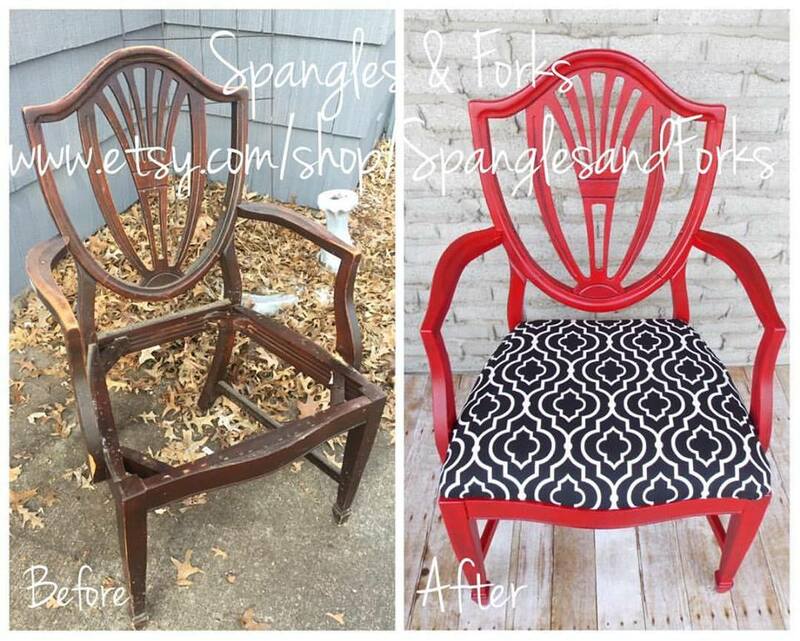 This awesome chair is rocking in a GF Holiday Red Milk Paint finish thanks to Spangled & Forks! Black glaze was also applied to add texture. See more projects that have been transformed in Red by going to the Design Center at http://bit.ly/2kGoexI.